GEORGE–an amazing book… You should read it! I stayed up way too late a few nights ago reading this book. I knew I should close the pages and go to sleep. I knew the alarm was going off early the next morning, but I kept reading. Not because this is a suspenseful story. Not because this is a story with a relentless pace. Not because I couldn’t imagine how this story would end. I read the entire book in one sitting because George is a character I have never, ever before seen on the page. Think about that for a moment. Frodo, Harry, Lyra, Katniss… we know this kind of hero. And we know (and love) books like THE GIVER or BRIDGE TO TEREBINTHIA. I could list a hundred books I adore that have their seeds in other stories. That is how literature works. 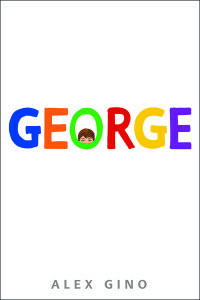 But I have never read a heart-warming, sweet, gentle, aching book about a person like George. I love her and I wanted her to be okay. That is why I kept reading. And we need George to remind us of our human capacity for empathy and understanding. I hope that you will buy a copy and read it in one sitting and then share it widely. George has a lot to tell you about being real. Oh. Sigh. Wow! I loved it so much. It reminded me yet again of the power of telling our true stories. 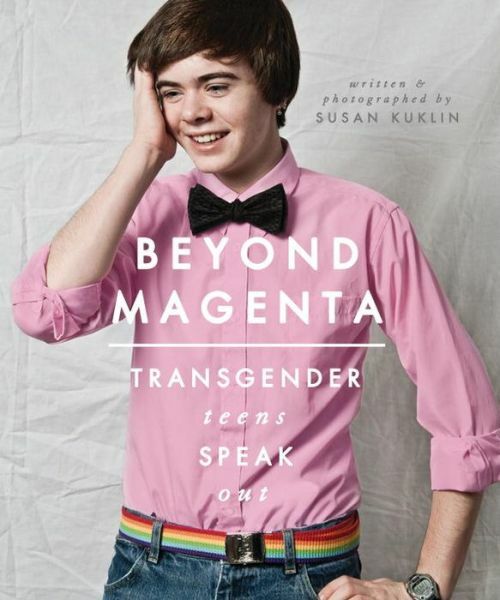 The young people who tell their stories in BEYOND MAGENTA by Susan Kuklin captured me, not with their fancy prose, but with the deep truth of their own personal experiences. I want to hug every single one of them for being brave enough to be themselves in the world. That’s hard for all of us sometimes and double hard for those who don’t fit easily into any of society’s little boxes. And I want to thank them for letting me in. Bravo to photographer and author Susan Kuklin for making this book happen. I am lucky to live a life full of stories. I’m grateful to those who surround me with powerful true narratives especially Antonio Sacre and Lawrence Huff and The Moth and Story Corp and all the memorists whose books I’ve devoured and the documentarians who film our obsessions and to Laurie Halse Anderson for making YA a force for healing through SPEAK and her work with RAINN. Take a moment today to honor stories—tell one on Facebook, buy Susan’s book, donate to RAINN in honor of sexual assault awareness month, or listen to someone’s truth. This is how we rewrite the world.